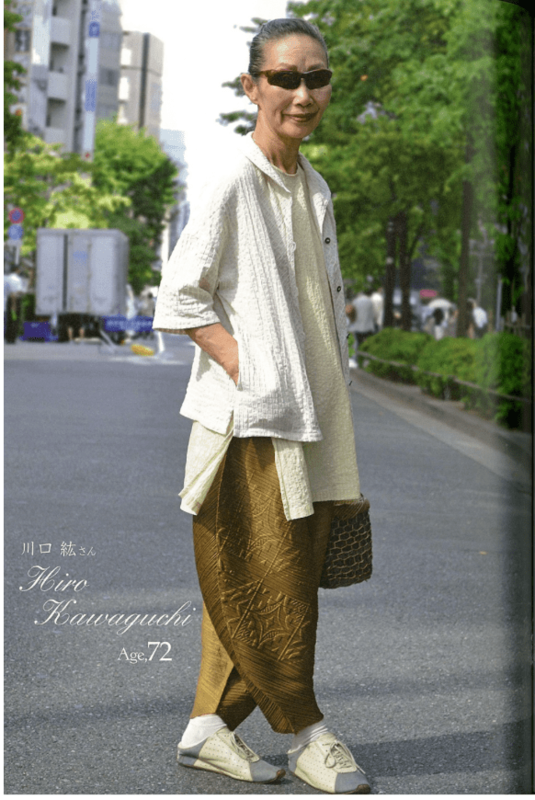 My lovely friend Susannah, has taken me down the Japanese Style rabbit hole again. 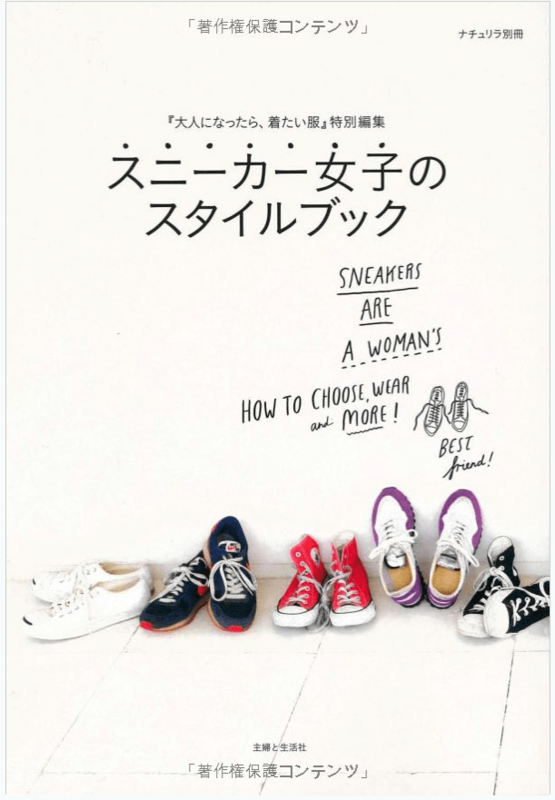 After my post about wearing trainers with frocks, she told me about a book she ordered on Sneaker Style. 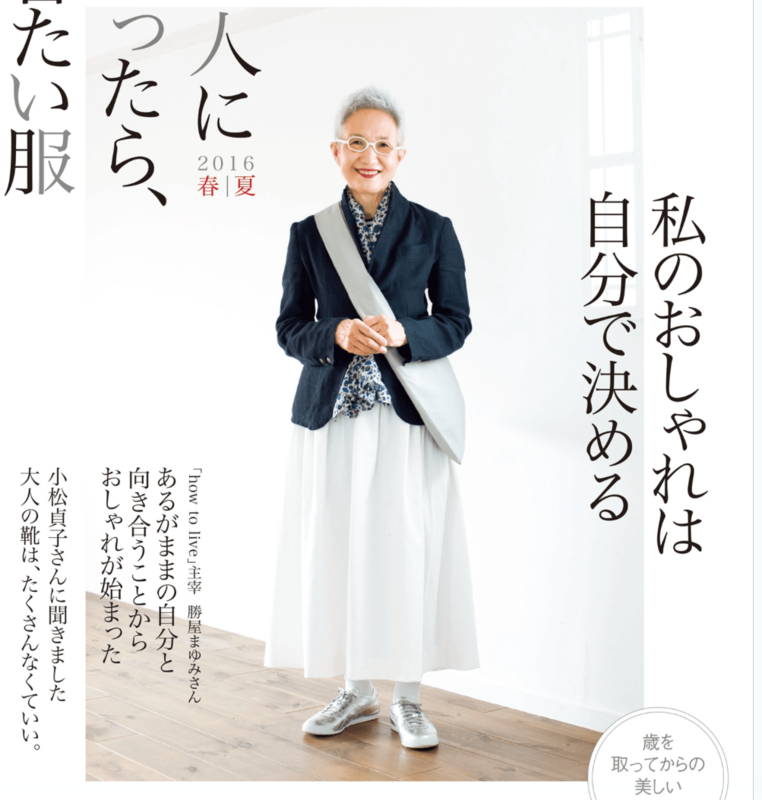 I love how they have books to explain and explore all these different dress styles in Japan. There are some very cute illustrations in this one. 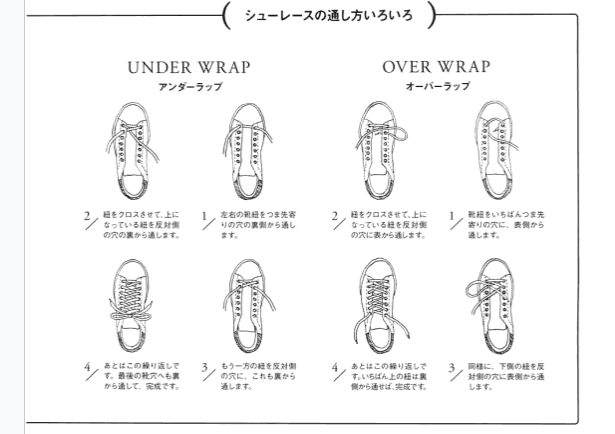 It includes practical advice (like cleaning), styling ideas, illustrations, and different ways to tie laces. It’s quite obvious but also nice to see such wearable styling, looking sophisticated on fairly non-model types. I would rather have an edition of this than any current fashion magazine, where I can’t relate to anything that is being shown. 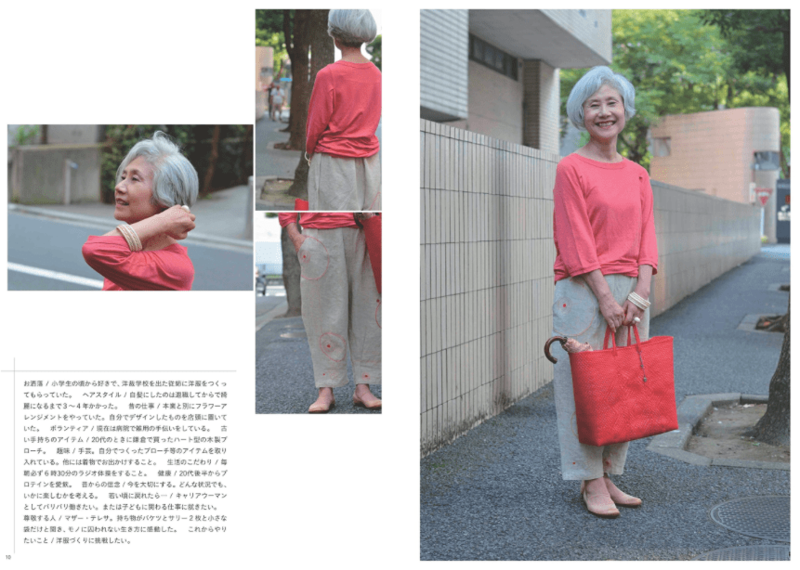 This led me to looking into a whole pile of books showing Japanese fashion on older people. 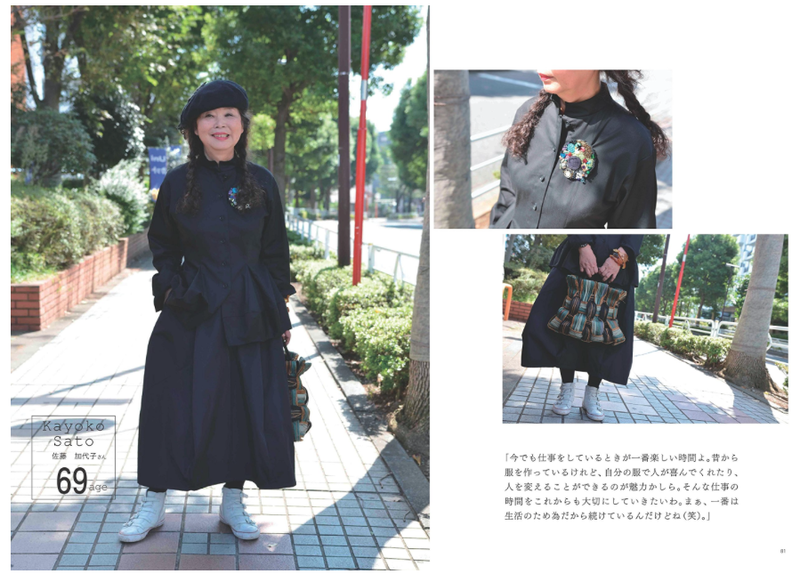 Including this series on Street Snap Over 60. Warning: once you start looking at these, you may want them all, and never get off the internet. I’ll let you decide, how much time to spend looking at these amazing books. 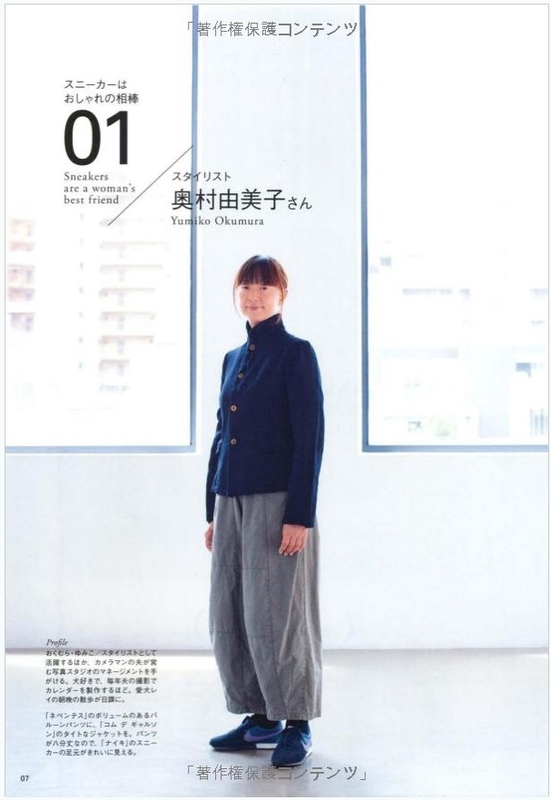 I think this next one is a cover of a magazine. I can’t figure out much about it, but I want to be this woman. Or any of the women on the covers. One final image. This is from another book. I kept it because I love the simple appliqué flower silhouettes on the middle dress bodice. I’m still thinking about colour blocking and mixing fabrics and this picture gives me some new ideas. Thanks J:) The magazine with woman in black in front of fab painting translates as “Fashionable Adult” and is filled with funky styling. Don’t have that particular issue but a few others you can have a look at. 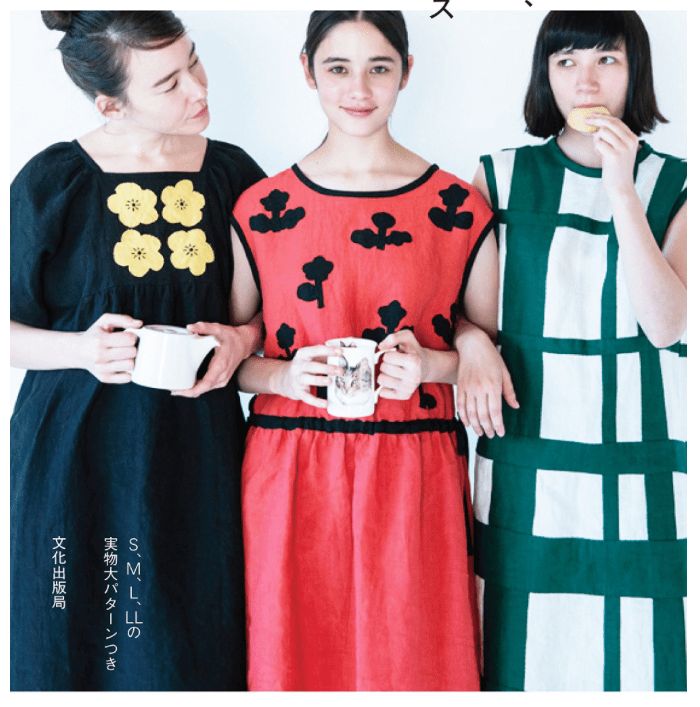 In fact, there is one with a woman in a gorgeous polka dot dress that could be you if you were much older and of course Japanese. The over 40 style books are really good too. Love that applique! Thanks for the translation. Can you send me a couple of screen grabs or quick pics form inside one of these Fashionable Adult books. They sound incredible! Do I need them? Adore the style. Great inspiration.